You are here: Home / Lifestyle / Give the Gift of Self Care this Christmas! Give the Gift of Self Care this Christmas! This is a sponsored conversation written by me on behalf of Olay and Braun available at Walmart. The opinions and text are all mine. As we get older, it gets harder and harder to fill an adult’s Christmas stocking. Sure you can fill it with the staple Christmas-time candies and treats but that gets boring year after year. Why not give the gift of self-care this year? Give a gift that is needed that someone may not go out and purchase for themselves. 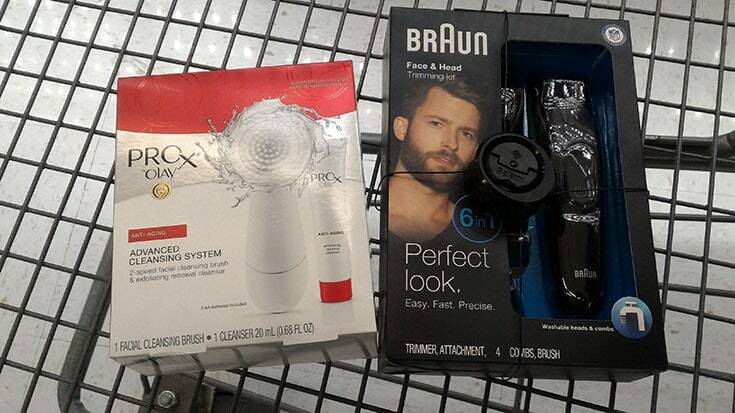 A great gift idea for your husband or a male member of your family is the Braun Multi Grooming Kit for only $21.97 at Walmart! It is a face and head trimmer so it is perfect for any man (even if he doesn’t have a beard!!) It comes with the trimmer, 4 combs, ear and nose trimmer attachments. My husband is going to enjoy this as he likes to keep the hair trimmed on the back of his neck. It is a practical and useful gift. As Moms we often focus on taking care of everyone else in the family and we tend to neglect ourselves. So why not a gift to pamper moms? We loved to be pampered. That is why the Olay Pro-X Advanced Cleansing System is a great idea – hint hint guys. And it fits in the budget at only $29.97 at Walmart. I know I would enjoy a facial and that’s a great way to pamper yourself. So moms, it is ok to pamper ourselves without feeling guilty. We need it every now and then. So if Santa needs a little help with some stocking stuffer ideas, tell him he can get both of these items at Walmart and they are on rollback for the holidays! Perfect time to pick them and for gift giving! 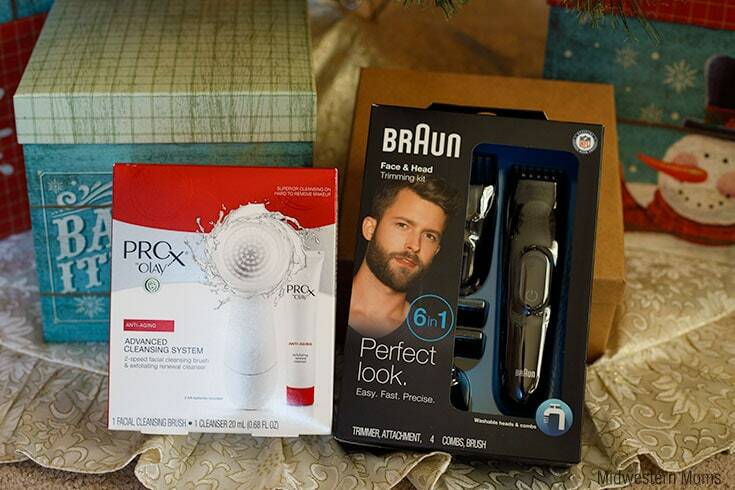 There will also be a $4 off brandSAVER coupon that dropped on 11/26 for the Olay Pro-X Advanced Cleansing System! Great Christmas gift ideas. Thank you for the info.